All Replies on How do I torch a large logo into wood? How do I torch a large logo into wood? I have never done this but I recall my uncle was a neon sign maker and he used asbestos sheets to protect the tops of his work benches. So if you can find some asbestos sheeting and cut the logo out of it and place it on the table it would protect that spot. Yep, I know asbestos is a great evil so you probably can’t find any today. I have a little left from a project about 40 years ago that I use whenever I need a heat shield, like soldering a copper pipe inside a wall. Another thought, my wood stove has a baffle in it to deflect the hot gasses for a secondary burn. The baffle is made of “space age” ceramic foam about 3/8” thick. That could be used in a similar manner to the asbestos. A wood stove store might be able to tell you where to find it. Or try the Enviro wood stove web site. I think they sell it. What ever you use it needs to not only protect from exposure to the flame but also the heat so metal would probably not work too well as it would transmit the heat and possibly leave a branded mark. What do you call cement sheet in the states? Gyprock? 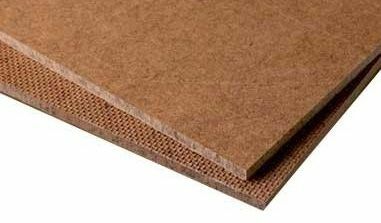 Fibre board? Well I’d be surprised if you can’t buy at a your local hardware. and cut the logo out with tin snips or kitchen shears. with the logo cut out with a jig saw will work – so will 1/8” plywood. afterall, you are not burning deep, just misting the flame to get a noticeable color contrast. tack the metal into place with carpet tacks and burn with a standard propane torch. PRACTICE on a similar material before actually moving to your table. burn at a slight angle away from the edge of the metal so the flame does not burn under the template. for a really large area, I would grab my propane weed burner. again – it depends on how “large” the logo is. when the adhesive melts into the wood. (and it probably will). and personally – I would burn the letters and not the whole table. will be short and even strokes – not burn 1/4” deep into the wood. may have darkened skin where they rest their arms on the table edge while eating fried chicken. on a roll of builders paper, spray a light mist of spray adhesive on the paper and let it dry to tacky. over it to achieve the desired effect….. again——practice on something similar first. Could you cut the letters out of hardwood and lay them on the table and then burn the whole thing? Then just remove the letters. or would the heat transfer through the letters as well? you are not applying more than a minute of burn time to the wood to be darkened. you can get some pretty dark burn patterns with the torch too close for just 5-10 seconds. burn resistance compared to dimensional lumber. that would be my choice. and also a spray water bottle to quickly extinguish any unwanted flames and charcoal burning effects. Make a stencil of the logo and paint the stencil area with petroleum jelly or some other fire retardant gel. I agree with John’s idea to use hardboard, or any other board for that matter. You need a heat shield. Thin metal won’t burn. But so what, it will still conduct heat really well. Obviously it will provide some protection, but your goal is to not burn the underlying surface, it doesn’t matter if you burn the pattern. The only reason NOT to use something really thick, like 3/4” plywood, would be that being so thick, you’d have the potential to create “heat shadow” where the heat won’t get into the corner formed by the thick material. Of course a similarly thick (1/8”) or so metal would absorb enough heat, in the short time, that it won’t get hot enough to char the underlying wood. This is what I would do if this were a production and you needed to reuse this pattern over and over. But if this is a one-off, I think John’s hardboard idea would be close to ideal. I agree with John s idea to use hardboard, or any other board for that matter. You need a heat shield. Thin metal won t burn. But so what, it will still conduct heat really well. Metal will reflect most of the radiant heat and that is what burns the wood. When I sweat pipes I use a simple throw away tin pie pan to protect the wood behind and it works like a charm. and a propane torch. and yes, you CAN melt aluminum foil with a torch !!! 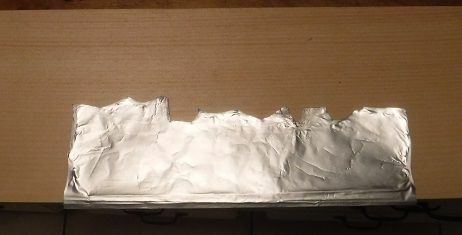 stay in one place for too long, aluminum foil can be used for a quick template. and thinner than a 2×4 will work just fine for a “One-Off” design. soak it in water, lay it on wood, and burn a design in the wood without burning the cardboard. has anyone ever boiled water in a brown paper bag on a campfire ??? Another possibility for a heat shielding material is sheetrock. 1/4” thickness should do it, if you can find it that thin. It has the advantage that it is very heat resistant. You may scorch the paper face, but it will not sustain a flame. Its fragility could be a problem, though. can with candle underneath. Blew my mind. cut well and easy to get. Loren – my dad showed me that trick back when I was maybe 12 years old. maybe 2 cups of water placed in the hot coals (or charcoal in a grill) and it will boil an egg. from my fellow campers with that trick. I made sure to carry the right size paper bag. makes a great conversation piece around the campfire. used “back in the day”. vaseline, pressure treated alder, cement tile backer board, asbestos floor tile or wet cardboard . .
the “artist” only spends 10-15 seconds on the initial outlining. the rest of the work is on the infield where the template is no longer needed. will he be alternating the growth rings in his alder, etc etc etc. Everyone, thanks so much for the helpful replies. The company logo consists of three letters in a bold, modern, stylized font (some oil-rig-shaped features are added to the letters). I intend to make the logo about 12” high and 18” wide, ish, in the center of the tabletop. 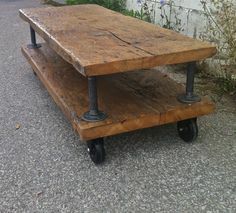 The table will go in the lobby. The wood will come from a post oak which was felled out back behind the parking lot, probably 10 years ago. I plan to mill it into slabs on the chainsaw (if I can), and use the slabs to make the table. Thus incorporating the extreme roughness of a chainsaw cut into a design feature of the tabletop.